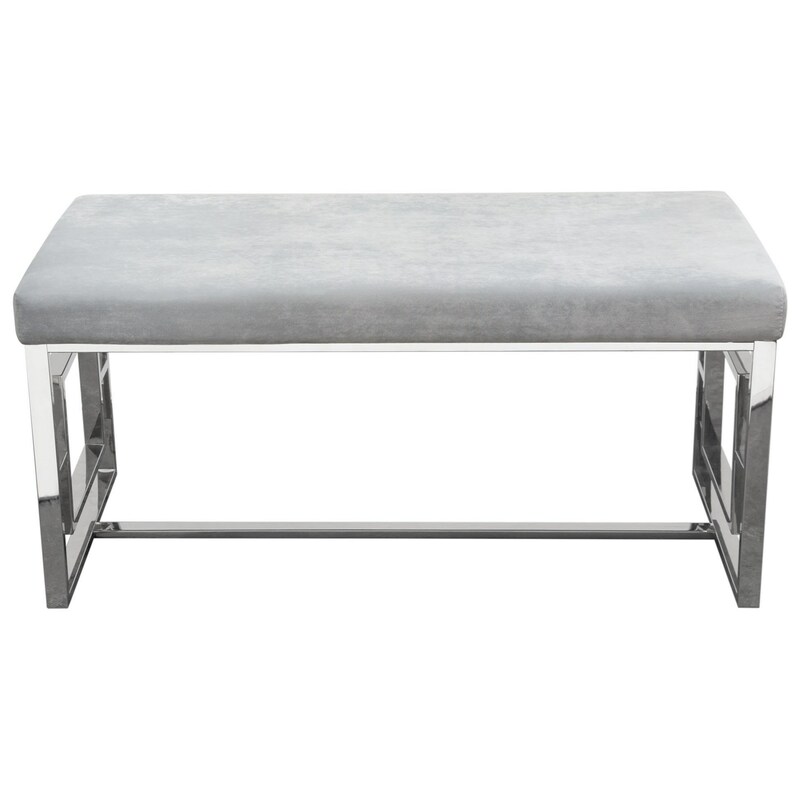 The Muse Accent Bench features a luxurious light grey velvet seat with a modern, yet ornamental profile to create the perfect accessory to your home's décor. Ideal for any room in the house, the Muse Bench provides stylish additional seating while raising the design aesthetic of its surroundings. The polished Stainless Geo-Inspired base is elaborately proportioned and supported by the connecting bar. The Muse Accent Bench by Diamond Sofa at Red Knot in the Oahu, Honolulu, Kapolei, Pearlridge, Salt Lake, Hawaii area. Product availability may vary. Contact us for the most current availability on this product. Browse other items in the Muse collection from Red Knot in the Oahu, Honolulu, Kapolei, Pearlridge, Salt Lake, Hawaii area.